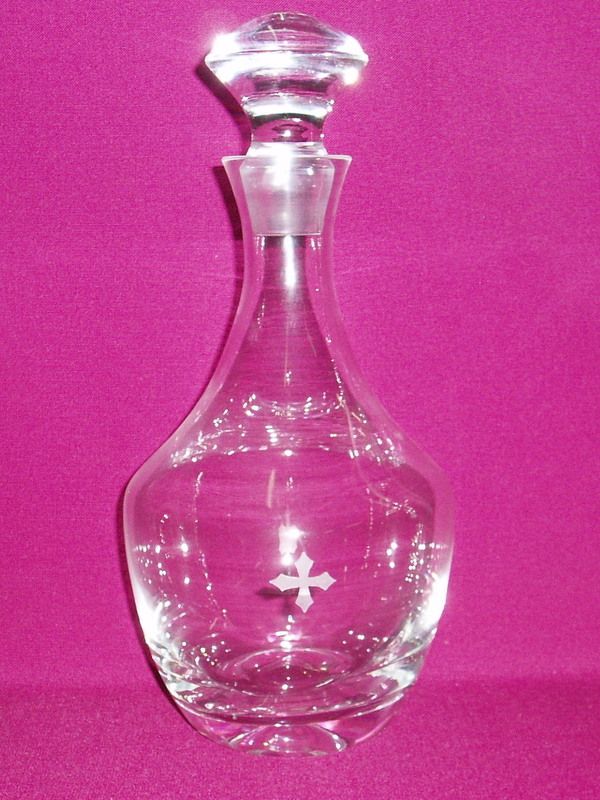 Crystal decanter with a capacity of 850ml. This 25cm tall cruet, engraved with a cross, is ideal for large congregations and churches, and impressive when used in the offertory procession of the gifts. Can be purchased singly, or as a pair. 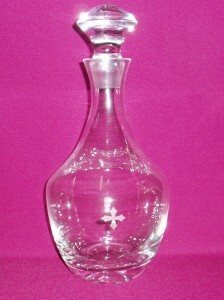 Price shown is for a single cruet decanter.